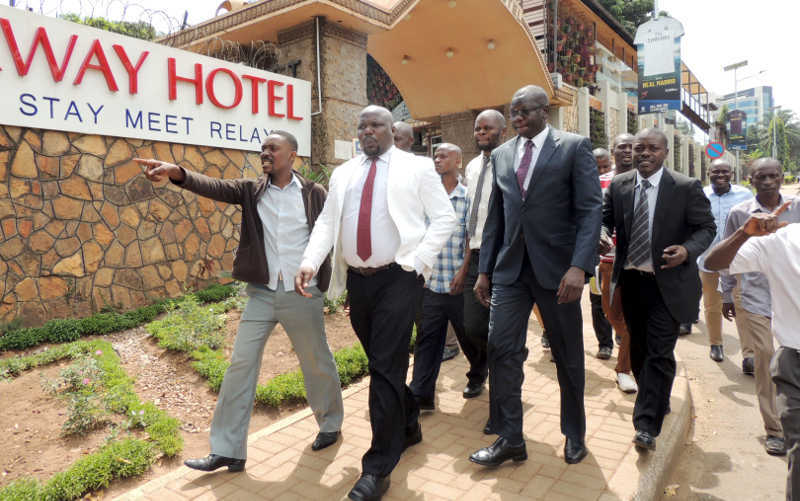 A meeting that was convened by the former Forum for Democratic Change (FDC) leader Gen. Mugisha Muntu at Fairway Hotel this afternoon produced fireworks after a youth faction led by Kawempe South MP Mubarak Munyagwa stormed it and forced the party President Oboi Amuriat to abandon the talks. The two leaders later accused Gen. Muntu of masterminding a plan to break up the party. At the end of the meeting however, Muntu expressed regret that members of his camp had decided to release what he described as a careless and premature statement announcing his decision to leave the party. 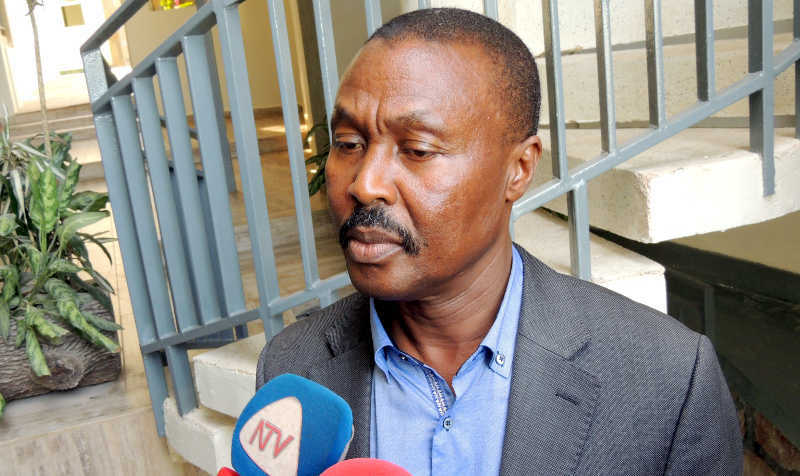 Muntu apologised to the FDC leadership over the ‘careless pre-mature’ statement. He however didn’t confirm nor deny the split allegations, but added that he would release a statement on the matter. The Sunrise has however reliably learned that the FDC leadership was informed of Gen. Muntu’s decision to leave yesterday during a meeting. The Sunrise has also learnt that a number of MPs allied to the Muntu-faction are planning a major public announcement on Thursday in Parliament building. In an indication of a possible split, FDC President Patrick Amuriat Oboi indicated some key members of the party wanted to leave. The Sunrise understands that Oboi, had been invited to a meeting at Fair Way at which Gen. Muntu had planned to present findings of his country-wide consultations. Oboi told journalists that he was shocked to learn that some of the very people who founded FDC had chosen to quit the party along with Gen. Muntu. 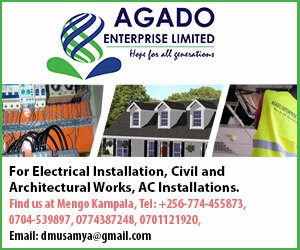 Among those that are believed to favour the decision to leave the party are former FDC secretary general Alice Alaso, former Leader of Opposition Winnie Kiiza, Reagan Okumu among others.